Following the confusion that arose from a counter-statement purportedly issued by former military president, Gen. Ibrahim Babangida yesterday retracting an earlier statement in the day, in which he called for a new generation of leaders to assume the mantle of leadership in the country come 2019, the retired military general spoke exclusively to THISDAY saying that his â€œoriginal statement still standsâ€. Babangida said the second statement was issued by friends and had nothing to do with him, but expressed concern that his initial statement issued by his media aide, Mr. Kassim Afegbua, had been misrepresented by the media. According to him, what his statement titled, â€œTowards a National Rebirth,â€ emphasised was for a new breed of leadership to emerge through the electoral process, but was not intended to deny President Muhammadu Buhari his inalienable right to vote and be voted for in the 2019 elections. He was emphatic that his statement did not counsel Buhari not to contest the 2019 elections as depicted by media houses in their headlines yesterday. Also, enquiries from sources close to Babangida revealed that the confusion arose due to the pressure mounted by the former military rulerâ€™s son, Mohammed, on his father to retract the first statement and issue a toned down version. Indeed, the sources informed THISDAY that the second toned down version was not signed by the Babangida but his son who simply appended the retired generalâ€™s name to the revised statement. But when Babangida got wind of what had transpired, he instructed Afegbua to reach out to media houses reaffirming the validity of the first statement. In his original statement yesterday, Babangida said that he did not write a letter to Buhari but was just sharing his thoughts with â€œfellow compatriots on the need to enthrone younger blood into the mainstream of our political leadership starting from 2019â€. Babangida said the search for the new breed leadership must start now as Nigeria prepares for 2019 election. Babangida stressed that he was offering the advise as a stakeholder, former president and concerned Nigerian who was desirous of seeing â€œnew paradigms in our shared commitment to get this country runningâ€. â€œWhile saying this also, I do not intend to deny President Buhari his inalienable right to vote and be voted for, but there comes a time in the life of a nation, when personal ambition should not override national interest. â€œThis is the time for us to reinvent the will and tap into the resourcefulness of the younger generation, stimulate their entrepreneurial initiatives and provoke a conduce environment to grow the national economy both at the micro and macro levels. â€œContemporary leadership has to be proactive and not reactive. It must factor in citizensâ€™ participation. Its language of discourse must be persuasive not agitated and abusive. It must give room for confidence building. It must build consensus and form aggregate opinions on any issue to reflect the wishes of the people across the country. â€œIt must gauge the mood of the country at every point in time in order to send the right message. It must share in their aspirations and give them cause to have confidence in the system,â€ he said. Continuing, the former military president maintained that modern leadership was not just about â€œfightingâ€ corruption, â€œit is about plugginâ€. â€œAccountability in leadership should flow from copious examples. It goes beyond mere sloganeering. My support for a new breed of leadership derives from the understanding that it will show a marked departure from recycled leadership to creating new paradigms that will breathe fresh air into our present polluted leadership actuality,â€ he added. Babangida noted that his intervention in government more than 30 years ago was not by accident, recalling that his administration at the time had a clear-cut agenda on what needed to be achieved. Babangida, coincidentally, overthrew Maj.-Gen. Muhammadu Buhari in a bloodless coup in August 1985 and ruled Nigeria from 1985 to 1993.
â€œMy intervention in the governance process of Nigeria wasnâ€™t an accident of history. Even as a military government, we had a clear-cut policy agenda on what we needed to achieve. â€œWe recruited some of the best brains and introduced policies that remain some of the best in our effort to re-engineer our polity and nation. We saw the future of Nigeria, but lack of continuity in government and of policies killed some of our intentions and initiatives. â€œEven though we did not provide answers to all the developmental challenges that confronted us as at that time, we were not short of taking decisions whenever the need arose,â€ he said. The former military ruler said the next election in 2019, therefore, presents Nigeria with a unique opportunity to reinvent the wheel and provoke fresh leadership that would immediately begin the process of healing the wounds in the land and ensuring that the wishes and aspirations of the people are realised in building and sustaining national cohesion and consensus. According to him, â€œHaving been privileged to preside over this great country, interacted with all categories of persons, dissected all shades of opinions, understudied different ethnic groupings; I can rightfully conclude that our strength lies in our diversity. Babangida added that he has had cause for concern when politicians visited him to inform him about their aspirations, noting that the country needs new ways of doing politics and what obtains at present was not helping the country. â€œWhat you hear in terms of budgetary allocations for electoral contests does not cover votersâ€™ education but very ridiculous sub-heads. A typical aspirant in Nigeria draws up a budget to cover the INEC (Independent National Electoral Commission), police, army and men and officers of the civil defence, instead of talking of votersâ€™ education, mobilisation and sensitisation. â€œEven where benchmarks are set for electoral expenditure, monitoring and compliance are always difficult to adhere to. We truly need to reform the political system. And we must deliberately get fresh hands involved for improved participation. â€œWe need new ways and new approaches in our political order. We need a national rebirth. We need a rebranded Nigeria and rebranded politics. It is not so much for the people, but for the institutions that are put in place to promote our political engagements. â€œWe must strengthen the one-man one-vote mantra. It is often ridiculous for me when people use smaller countries in our West African sub-region as handy references of how democracy should be. It beggars our giant of Africa status,â€ he said. Babangida also revealed that in the past few months and weeks, he had played host to many concerned Nigerians whom he said have continued to express legitimate and patriotic concerns over the state of affairs in the country. According to him, some of them have continued to agonize about the turn of events and had expressed concern as to why Nigeria has not been about to get its leadership compass right as a country with so much potential and opportunity for all. He said some, out of frustration, have elected to interrogate the leadership question and have wondered aloud why it has taken this long from independence till date to discover the right model on account of the nationâ€™s peculiarities. He said: â€œAt 57, we are still a nation in search of the right leadership to contend with the dynamics of a 21st century Nigeria. â€œOpinions in Nigeria are not limited to the borders of the political elite; in fact, every Nigerian no matter how young or old, has an opinion on any national issue. The former military ruler said that in 2019 and beyond, Nigerians should come to a national consensus that the nation needs a new breed of leadership with the requisite capacity to manage the diversities and jump-start a process of launching the country on the super highway of technology-driven leadership in line with the dynamics of modern governance. â€œIt is short of saying enough of this analogue system. Letâ€™s give way for digital leadership orientation with all the trappings of consultative, constructive, communicative, interactive and utility-driven approach where everyone has a role to play in the process of enthroning accountability and transparency in governance,â€ he stressed. Babangida said he was particularly enamored that Nigerians were becoming more and more conscious of their rights, and their ability to speak truth to power and interrogate those elected to represent them without fear of arrest and harassment. These, he said, were part of the ennobling principles of a representative democracy. He said: â€œAs citizens in a democracy, it is our civic responsibility to demand accountability and transparency. Our elected leaders owe us that simple but remarkable accountability creed. The former military head of state said at this point in Nigeriaâ€™s national history, the people must take some rather useful decisions that would lead to real development and promote peaceful co-existence among all the nationalities. â€œWe must be unanimous in what we desire for our country; new generation leadership, result-driven leadership, a sound political foundation, demonetisation of our politics, enhanced internal democracy, elimination of impunity in our politics, inclusiveness in decision-making, and promotion of citizensâ€™ participation in our democratic process,â€ formed part of his recommendations. Babangida also spoke on the herdsmen-farmersâ€™ clashes, saying the unchecked activities of the herdsmen have continued to raise doubts over the capacity of the Buhari-led government to handle with dispatch, the security concerns that continue to threaten â€œour dear nation; suicide bombings, kidnappings, armed banditry, ethnic clashes and other divisive tendenciesâ€. He said the country must bring different actors to the roundtable, suggesting that government must generate the platform to interact and dialogue on the issues with a view to finding permanent solutions to the crises. According to him, the festering nature of this crisis (farmers-herdersâ€™ conflict) was an inelegant testimony to the sharp divisions and polarisations that exist across the country. â€œFor example, this is not the first time herdsmen have engaged in pastoral nomadism but the anger in the land is suggestive of the absence of mutual love and togetherness that once defined our nationality. â€œWe must collectively rise up to the occasion and do something urgently to arrest this drift. If left unchecked, it portends danger to our collective existence as one nation bound by a common destiny; and may snowball into another internecine warfare that would not be good for nation-building. â€œWe have to reorient the minds of the herdsmen or gunmen to embrace ranching as a new and modern way to herd cattle. 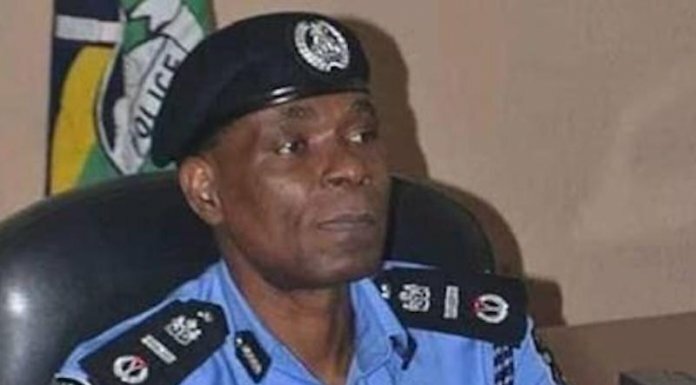 â€œWe also need to expand the capacity of the Nigeria Police, the Nigerian Army, the navy and air force to provide the necessary security for all. We need to catch up with modern sophistication in crime detection and crime fighting. â€œDue to the peculiarity of our country, we must begin community policing to close the gaps that presently exist in our policing system. â€œWe cannot continue to use old methods and expect new results. We just have to constructively engage the people from time to time through platforms that would help them ventilate their opinions and viewpoints,â€ he said. On the â€œchangeâ€ mantra, Babangida said when the ruling All Progressives Congress (APC) campaigned on the change mantra, he had thought they would device new methods, provoke new initiatives and proffer new ways to addressing some of the nationâ€™s developmental problems. â€œIn line with her manifesto, one would have thought that the APC would give fillip to the idea of devolution of powers and tinker with processes that would strengthen and reform the various sectors of the economy. â€œLike I did state in my previous statement late last year, devolution of power or restructuring is an idea whose time has come if we must be honest with ourselves. â€œWe need to critically address the issue and take informed positions based on the expectations of the people on how to make the union work better. â€œFor example, I still cannot reconcile why my state government would not be allowed to fix the Minna-Suleja road, simply because it is called a federal government road, or why state governments cannot run their own policing systems to support the federal police. â€œWe are still experiencing a huge infrastructure deficit across the country and one had thought the APC-led federal government would behave differently from their counterparts in previous administrations. I am hesitant to ask; where is the promised change?â€ he asked. Babangida said Nigeria remained at a major crossroads at this moment in its history, saying that the choices its citizen have to make as a nation regarding the leadership question of this country and the vision for its political, economic and religious future will be largely determined by the nature or kind of change that Nigerians pursue, the kind of change that all citizens need and the kind of change that they get. According to him, â€œA lot depends on our roles both as followers and leaders in our political undertakings. As we proceed to find the right thesis that would resolve the leadership question, we must bear in mind a formula that could engender national development and the undiluted commitment of our leaders to a resurgence of the moral and ethical foundations that brought us to where we are as a pluralistic and multi-ethnic society. â€œNigeria, before now, has been on the one hand our dear native land, where tribes and tongues may differ but in brotherhood we stand, and on the other hand, a nation that continues to struggle with itself and in every way stumbling and willful in its quest to become a modern state, starting from the First Republic till date. â€œWith our huge investments in the African emancipation movements and the various contributions that were made by our leadership to extricate South Africa from the colonial grip, Nigeria became the giant of Africa during that period. â€œWe have experimented with parliamentary and presidential systems of government amid military interregnum at various times of our national history. We have made some progress, but not good enough to situate us on the pedestal we so desirously crave for. 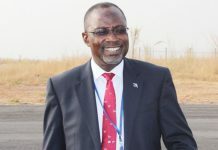 â€œIt is little wonder, therefore, that we need to deliberately provoke systems and models that will put paid to this recycling leadership experimentation to embrace a new generational leadership evolution with the essential attributes of a responsive, responsible and proactive leadership configuration to confront the several challenges that we presently face,â€ he noted. Babangida said that in the in the past few months also, he had taken time to reflect on a number of issues plaguing the country and was frightened by their dimensions. â€œI get worried by their colourations. I get perplexed by their gory themes. From Southern Kaduna to Taraba State, from Benue State to Rivers, from Edo State to Zamfara, it has been a theatre of blood with a cake of crimson. â€œIn Dansadau in Zamfara State recently, North-west of Nigeria, over 200 souls were wasted for no justifiable reason. The pogrom in Benue State has left me wondering if truly this is the same country some of us fought to keep together,â€ he wondered. Babangida said he was alarmed by the amount of blood-letting across the land, adding that Nigeria was now described as a land where blood flows like river, where tears have refused to dry up. â€œAlmost on a daily basis, we are both mourning and grieving, and often times left helpless by the sophistication of crimes. 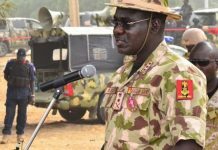 He advised that the battle against Boko Haram be taken to the inner fortress of Sambisa Forest rather than responding to the insurgentsâ€™ ambushes from time to time. He concluded by praying to God to grant Nigerians the gift of good life to witness that glorious dawn in 2019. But just as Nigerians were taking in Babangidaâ€™s statement yesterday, another purported statement signed by him disowned his media aide. In the second statement titled, â€œState of the Nation,â€ the former military ruler said: â€œIt has been drawn to my attention a press statement on the state of the nation, particularly the 2019 general elections and beyond. â€œLet me categorically state that as a former president and statesman, I have unfettered channels of communication with the highest authorities without sensational public correspondence, therefore, those views expressed over there are the personal views of the writer. â€œHowever, with due respect to individual opinion and constitutional rights, it is worrisome that political events and civil unrest in many part of the country, has raised many questions on the governance and unity. Babangida recalled that in his statement to mark the Armed Forces Remembrance Day, he had stated that there was dire need for proactive measures to stop farmers-herdersâ€™ clashes in the Middle Belt, cattle rustling, armed robberies, kidnappings, gangsterism and cultism. He maintained that the security agencies have to step up their surveillance with more efforts on intelligence gathering for maximum success. He warned that recent happenings and utterances by political gladiators were alarming and not in the interest of the common man that is already overstretched and apparently living from hand to mouth due to precarious economic conditions. â€œDespite all these challenges, I am optimistic that the political actors will play within the ambits of political norms and decorum to ameliorate the problems facing our society now. â€œI am a realist that believes that all issues in a democratic atmosphere are sincerely discussed and resolved in the spirit of give and take. â€œSince after my military years that metamorphosed to the only military president in the history of Nigeria and my civilian life, I always have one clear objective that freedom can only be achieved through democracy. â€œSome people find this freedom as an avenue for eroding democracy by antics of hate speech under the guise of religion, tribal or self imposed mentorship. â€œThis trend of pitting the political class and the people against each other is unhealthy and skewed,â€ he said. He noted that the clamour for the realignment of governance in the country as the nation approaches the 2019 election year was a welcome development, only if the agitations are genuinely channeled through legislation and total supremacy of the Constitution. â€œAny attempt outside this circle of democratic tenets is deceptive and a divisive idea capable of plunging our political journey into disarray,â€ he said. Babangida added that the present political parties and their structures need parameter pillars that would make them more strong with unique ideologies, saying that the present political parties needed surgical operations that would fuse them into a reasonable number. He observed that as a people, now is the time to come together to address all communal conflicts and criminality under any guise, to further unite the country in line with the vision of our founding fathers so that as a nation, Nigerians can forge ahead in the task of building a more prosperous nation. Reacting to Babangidaâ€™s initial statement yesterday, the national chairman of the Peoples Democratic Party (PDP), Mr. Uche Secondus. described the admonition by the former military president as a confirmation of the PDPâ€™s position that the ruling party lacks the capacity to govern the country. He said the party was working hard to regain power in 2019 and save the country from collapse. Secondus spoke to jubilant party supporters who had come to receive him as he arrived Asaba, the Delta State capital yesterday. The PDP chairman said in a statement signed by his media adviser, Mr. Ike Abonyi, that the APC has failed woefully and Nigerians were now yearning for real democrats, which PDP with its experience is the only viable option. According to him, the on-going rebuilding and repositioning in the PDP were aimed at rebranding the party to meet the challenges ahead. Secondus told Delta PDP members to support Governor Ifeanyi Okowa who is transforming the state and ensure that the strength of the party remains with the people. He charged the people to go get their votersâ€™ cards, saying it is the real instrument of their power. He also charged party members across the country to brace up and respond to the wish of Nigerians by chasing the APC out of their political life. Another statement by the national publicity secretary of the PDP, Mr. Kola Ologbodiyan also described Babangidaâ€™s counsel as apt and was another pointer to the fact that Nigerians across the divide had reached a consensus against Buhari and his party, the APC. The party commended the former military president for admonishing the APCâ€™s attempt to use its phony restructuring agenda as a decoy for wooing voters ahead of the 2019 election. It said Babangidaâ€™s position on the need for a dynamic, nationalistic and development-driven leadership was a direct reflection of the feelings and aspirations of Nigerians and completely captures the direction of the repositioned PDP for a better Nigeria. Ologbondiyan said the fact that Babangidaâ€™s declaration on Buhari was coming on the heels of similar declaration by former President Olusegun Obasanjo, had further vindicated PDPâ€™s position on the misrule of the Buhari administration and the APC. PDP further described as an understatement, Babangidaâ€™s reflection that the Buhari administration and its APC had polluted the nationâ€™s â€œleadership actualityâ€, adding that it was not unmindful of the yearnings of Nigerians to use the platform of the repositioned PDP to propagate a new coalition that would return the much desired new atmosphere in the polity by producing the president that will be acceptable to the majority of Nigerians. â€œIt is now obvious to all that the time has come for all Nigerians to jettison all personal interests and divisive tendencies and rally forces under a truly national platform as now embodied in the PDP to rescue our dear nation from total collapse. â€œIn line with the new consensus for the election of a truly Nigerian president in 2019, the repositioned PDP is completely open as the epicenter of the much desired new broad-based political engagement of all Nigerians in their aspirations, irrespective of creed, tribe or class. â€œThe repositioned PDP presents that credible platform, re-engineered with best democratic standards for unhindered accommodation of all interests from all parts of the country in our collective search for a new beginning. â€œWe therefore urge all Nigerians, particularly our leaders across board, to join forces with the PDP to once again return the nation to its pride of place as a thriving economy and a truly democratic nation come 2019,â€ the PDP said. Similarly, the Action Democratic Party (ADP) yesterday threw its weight behind Babangida, saying his statement was timely. The statement signed by the ADP national secretary, Mr. James Okoroma, said the former military president was â€œclinical in his presentation by touching on the economy, pervasive insecurity, bloodletting across the country, devolution of powers, community policing and restructuringâ€. However, the presidency elected to keep mum over Babangidaâ€™s statement on the need for a new breed of leaders come 2019, as calls to the presidentâ€™s media aide, Mr. Femi Adesina, were unanswered. Also, the national publicity secretary of the APC, Mr. Bolaji Abdullahi declined to make any comment on the issues espoused by Babangida in his statement.